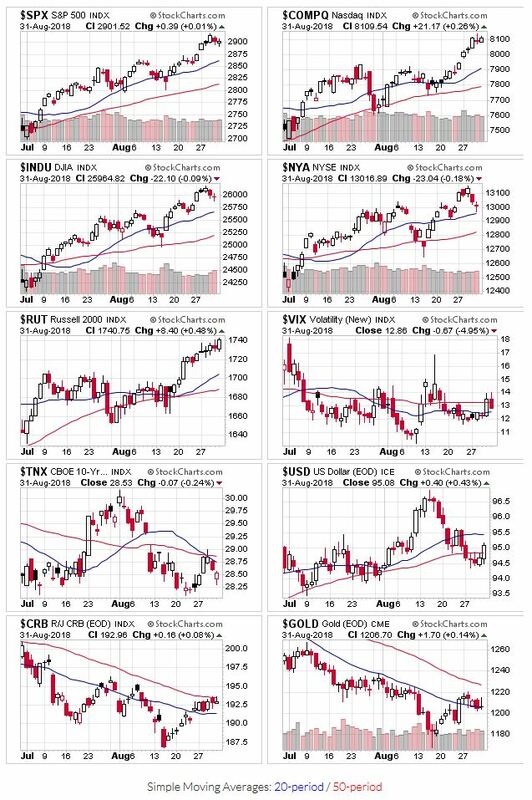 Short and sweet this week; no change in the signals to start September, and a 4 day trading week as the U.S. markets are closed Monday for the long Labor Day weekend. 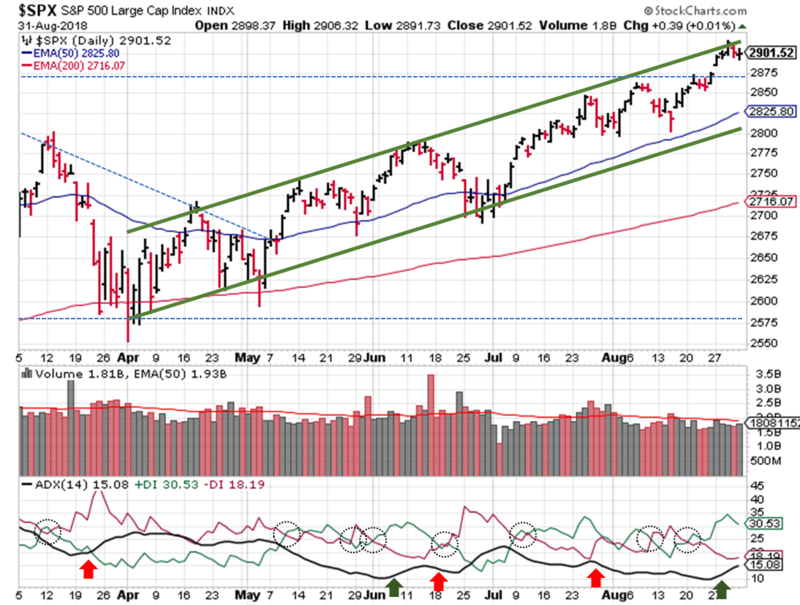 All the indexes remain above their 20/50 day moving averages. Price and volume also continue to signal an uptrend, as does OEW. The S&P ($SPX) gapped up Monday morning, giving us the higher move we were hoping for last week. The index peaked on Wednesday, which happened to coincide with the upper trendline of the channel we’re following, so naturally prices retreated. And even though the reading is still below 20, the ADX saw a pretty big bullish shift. 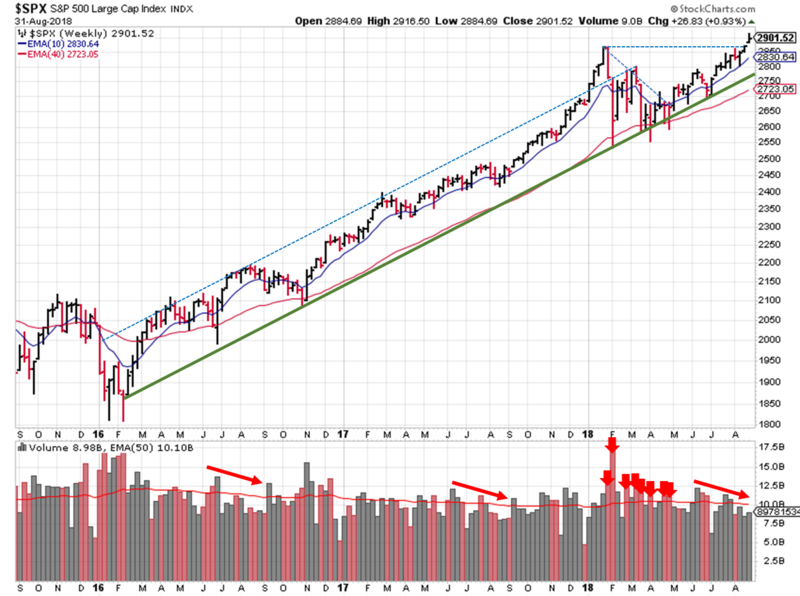 If I had to guess, I’d say we’re in for a slight decline this week, and then a run higher in two weeks that coincides with higher trading volume. Definitely a positive investing environment to kick-off September, but before you go all super-bull remember that anything is possible once trading volume returns. Participant, protect, and prepare.